Marianne is a Level 1 Dental Assistant who graduated from Dental Assisting in 2001 from the Toronto School of Business.She has been with our team since 2003. I received my Diploma in Dental office and chair side assisting from the National Academy of Health and Business in the year 1999. I am also HARP certified. I have been a Square One Dental employee since the fall of 2000. Although I love my job and enjoy helping patients, in my spare time I also enjoy spending time with my family, playing sports, and travelling to exotic destinations. Celobel graduated May 2005 from CDI college as a dental office and chairside assistant. Mely has been in the dental profession for over 20 years. 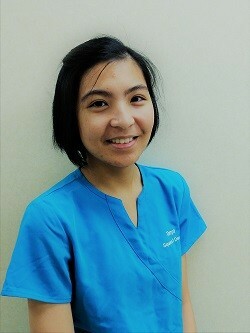 She enjoys working with the patients and the team of Square One Dental. Anna is a HARP certified level I and II dental assistant. She graduated from George Brown College of Applied Arts and Technology and is interested in learning about all of the specialties that dentistry has to offer. Anna is caring and professional and is always eager to help with a smile! Mary graduated dental assisting at the Toronto School of Business, in May 1998. She enjoys working with patients and the team at Square One Dental. Aside from work Mary loves spending time with family , yoga and travel. Princess is a proud member of Ontario Dental Assistant Association. She has been a dental assistant for over 7 years. She is a highly trained dental assistant, who stays current with continuing dental education classes and CPR- a commitment she takes seriously to helping patients maintain their dental health. Our patients and staff enjoy her bubbly, positive personality and smile. Princess values quality time with her husband and two daughters, whom she is dedicated to. Sayantani, landed in Canada in 2017, a foreign trained dentist with goals to continue pursuing her career in Dentistry. In no time after she arrived to this amazing country, she graduated from Durham College, HARP Certified, completing the Level 1 and 2 Certified Dental Assistant program. Sayantani, also known as "Shy" amongst her Square One Dental peers, enjoys learning new things and welcomes any challenge that the day has to offer. Ginalyn is a HARP and Board Certified Level 2 Dental Assistant. She graduated in April 2018 from the Canadian Academy of Dental Health and Community Services College(CADH). She passed the Canadian dental assisting board exam, and is also a member of the Ontario Dental Assistants Association(ODAA). She loves to spend time with her family. Gina also has a passion for art. 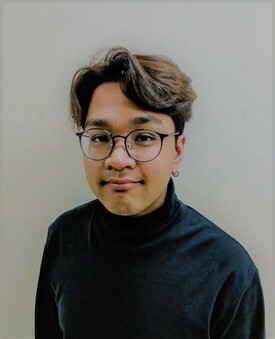 Benjamin is a Harp certified level I & II Dental Assistant who graduated in 2018 from George Brown College in Toronto. Benjamin is bilingual and can help any patients who are more comfortable speaking Tagalog. Benjamin has been coming to this office ever since he was a child and is more than happy to be working at Square One Dental. In his spare time Benjamin loves film photography and playing piano.